Are you suffering from content fatigue? Is the incessant demand for content draining you? Join DC Web Women for our next Speakers Series event on March 18 — “Overcome Content Fatigue! 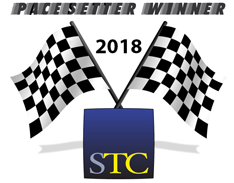 Build a Strategy that Works.” Our speaker is Ahava Leibtag, president of Aha Media Group and author of the book The Digital Crown: Winning at Content on the Web. Graphic designers, developers, marketers, and UX folks, this event is for you too. 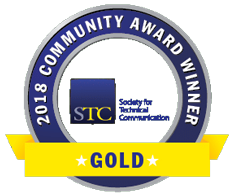 You’ll learn how a content strategy helps projects run smoothly and different types of professionals work together. FEE: Use promo code DCWWLocal and pay the reduced ticket price of $15. P.S. This event is open to all. Men are always welcome at DC Web Women events. 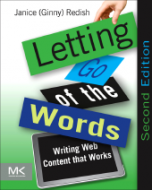 Janice (Ginny) Redish, renowned usability and documentation expert, published the second edition of her award-winning book Letting Go of the Words: Writing Web Content that Works . The new edition’s publish date is August, 28, 2012. It is available in Kindle Edition and paperback from Amazon.com. New information on content strategy for web sites, search engine optimization (SEO), and social media make this once again the only book you need to own to optimize your writing for the web. Photos of the User Experience/Web Professional Speed Networking Event – September 5: UXPA-DC, STC-WDC, IxDA-DC, Web Mavens, DCWW, Content Strategy Meetup are posted on our Facebook page. 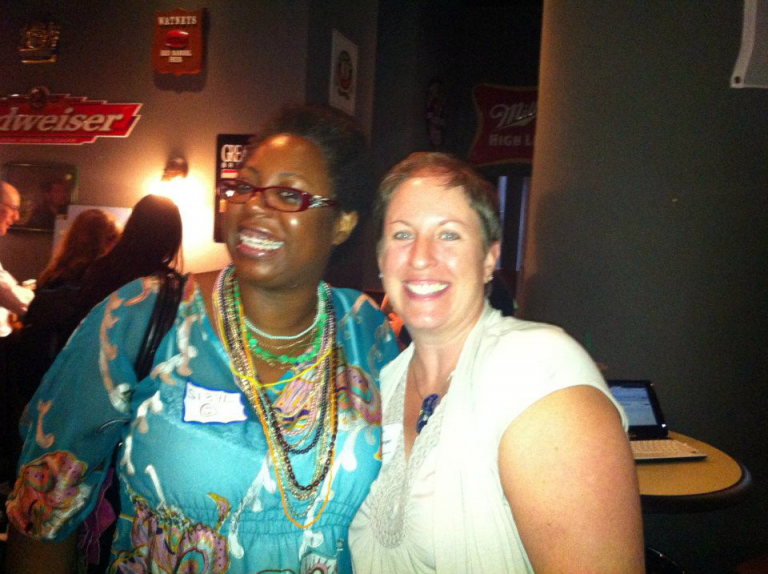 Sibyl Edwards of the DC Web Women and Carolyn Kelley Klinger, STC WDCB Chapter President, at the User Experience / Web Professional Speed Networking Event – September 5: UXPA-DC, STC-WDC, IxDA-DC, Web Mavens, DCWW, Content Strategy Meetup.